Robust and protective, New Citroën Berlingo Van adopts an energetic exterior style with fluid lines, without aggressiveness. 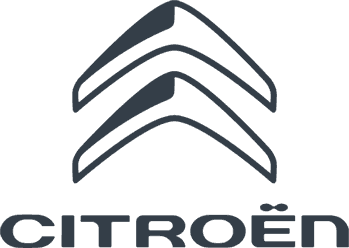 A consistent front face of the brand identity which it shares with its older sibling, Citroën Dispatch, an upright and short bonnet featuring large lights. In profile, fluid lines and fashioned flanks. A promise of practicality and generosity of interior space. • Extenso (R) cabin: 3 seats in the front, a mobile office and increased modularity to manage long loads. • Grip Control with Hill Descent Assist, raised ground clearance (+ 30mm), large wheels (690mm) with Mud & Snow tyres for more traction. The "Driver" version, specially designed for companies and their employees who have to make long trips or numerous deliveries in urban areas. This version provides added well-being and practicality for everyday efficiency. Citroën Berlingo Van cushions you from the demands of the road, in all conditions. Its optimum driving comfort comes from its high driving position, its suspension and its acoustic insulation. Its seats adapt to all sizes: being height and lumbar adjustable as well as featuring an individual armrest. Heated seats are also available as an option. On a daily basis, you'll also enjoy keyless entry and start, electronic parking brake and colour head-up display. Just a few of the 20 driving aids you can enjoy. The cabin of the Citroën Berlingo Van has been designed to double as a mobile office, letting you work easily on the go. You can plug a laptop into the 220V socket and put it out of sight in the TopBox. On the practical side, you get wireless charging for your smartphone. While two USB sockets and two 12V sockets are also available. • Rear view monitoring: provides an image from the rear of the vehicle when traveling forward. • Side passenger view: the driver can see the passenger side of the van by pressing a button on the side of the indicator stalk. • Reversing camera: displays the area behind the vehicle when in reverse gear. Performance has been upgraded through the combination of the new lightweight EMP2 platform and latest- generation fuel-efficient engines with low CO2 emissions.